By Jacob Abbott. 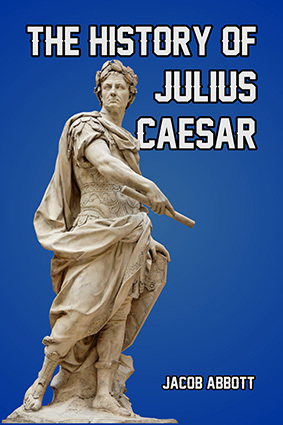 The name of Julius Caesar reverberates through history, not only as the most famous Roman ever, but as a symbol of imperial might, even reaching down through the centuries to give his name to the “Kaisers” and “Tsars” of Germany and Russia. This retelling of the story of Caesar, as recounted by master storyteller Jacob Abbott, starts with his childhood and then sketches the background to the beginning of the Roman leader’s civil and military career in the service of Rome. From the time of his appointment to Consul (60 BC), through to the dramatic military victories in Gaul (51 BC), Caesar quickly progressed to one of the most popular political figures in Rome. 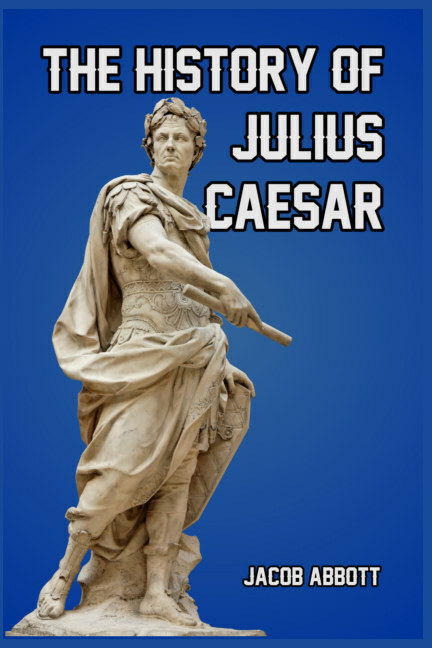 These military victories and his subsequent growth in stature were correctly perceived as a direct threat to the political order back home, and Caesar was ordered by the Senate to lay down his military command and return to Rome. Famously, Caesar refused, and with his legions, crossed the Rubicon River—which marked Roman territory—in 49 BC, hereby formally declaring his intention to seize power in Rome. Civil war resulted, and after a period of strife which saw his erstwhile ally but now archenemy Pompey dead, Caesar emerged as the unrivaled leader of Rome. His adventures in Egypt—and his relationship with the famous Queen Cleopatra, combined with his increasingly authoritarian style of government caused further dissent in Rome, and he was assassinated by a group of senators led by Brutus on the Ides of March (15 March) 44 BC. His death did not result in the restoration of the Republic, as his assassins had hoped, but rather in the formalization of the Imperial system when his adopted heir Octavian, later known as Augustus, rose to sole power in his wake. Another masterpiece from Jacob Abbott which tells one of history’s greatest stories in an easy-to-read and nonstop-action manner.